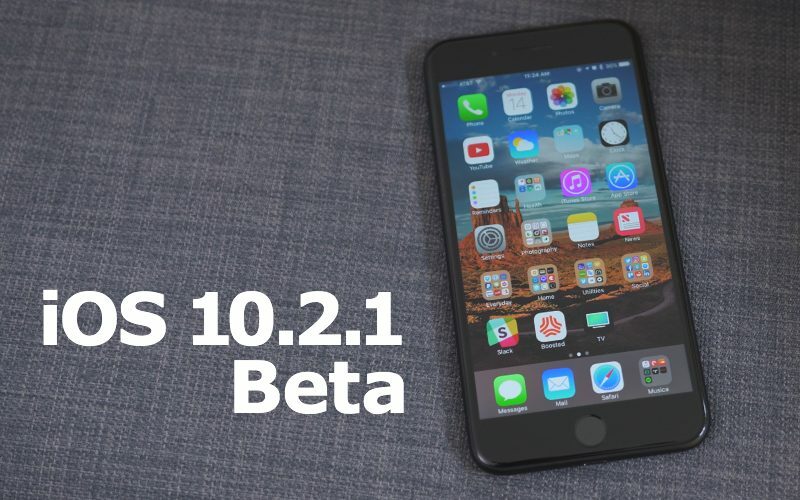 Apple today seeded the fourth beta of an upcoming iOS 10.2.1 update to developers and public beta testers, a few days after seeding the third iOS 10.2.1 beta and a month after releasing iOS 10.2, the second major update to the iOS 10 operating system. Registered developers can download the fourth iOS 10.2.1 beta from the Apple Developer Center or over-the-air with the proper configuration profile installed. It isn't yet known what features are included in iOS 10.2.1, but as a minor 10.2.x update, it appears to focus on bug fixes and performance improvements rather than major outward-facing changes. No new features were discovered in the first three iOS 10.2.1 betas, but we'll update this post if any changes are found in the fourth beta. Half expected the headline to read 10.3 but thats ok.
Not so sure what you mean. There has been a new "main page" where all email accts/tabs are in mail app since I believe 10.2. If thats what you are referring to its not new to this beta. I just hadn't noticed it before, so maybe something changed subtly in this update that brought my attention to it. What happened to the 10.3 beta that was supposed to come out on the 10th? Hasn't been released so far. 34 MB here, what amazes me is it takes so long to update even with a small update like this. It can't just apply the update and call it a day. It has to unmount and mount a million things. Is it worth running the public beta or being part of the public beta program on your daily driver? Wonder if it has the Notes syncing issue resolved for the particular iCloud accts with the issue. Apple stated that new versions of iOS and MacOS would fix it. And since both were released again today just a few days after the last beta, makes since.